Thanks to our newest Patrons of the Podcast: Jim Mitchell, John Lude, Nathan R. James, Marissa Ohoyo, and a special thanks to Hank Woodward who raised his per episode pledge. If you haven't gotten your Irish & Celtic Music Podcast t-shirt for St Patrick's Day. Order one today using the coupon code stpats2018 and you can save 15% in our store through March 17, 2018. 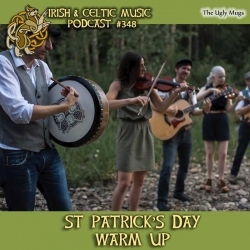 I also host Celtfather Music & Travel, and I have a special episode planned for March 11th titled "10 Fun St Patrick’s Day Facts with Music Recommendations". Subscribe and listen at celtfather.com. Every Thursday morning at 11 am CST, I am performing on my personal Facebook page at facebook.com/marcgunnmusic. Next week is a feature on St Patrick's Day Essentials. Come watch! Jiffy emailed a picture: "Hi Marc! I listen to current and past episodes while making art in my little studio space. 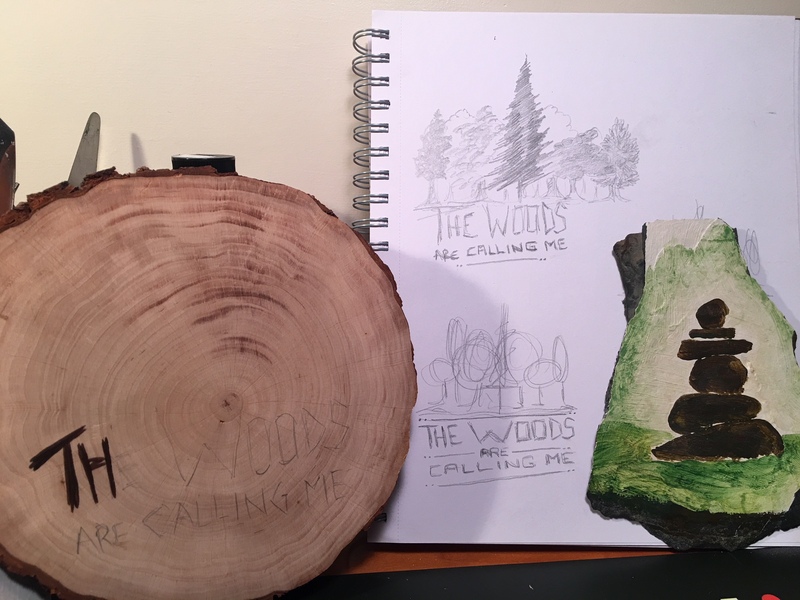 Most of the things I’m painting and drawing this month will be Christmas gifts (photo below shows some work in progress). The music you play always inspires, and I’ve discovered new favorites thanks to you. I’ve even rediscovered artists I lost track of over the years. Keep up the good work! Thank you, slainté!" Gerry Corr emailed: "I am originally from Belfast and was a Step dancer in my early youth and stopped as I did not want to wear a kilt walking down Falls Road; I went on to become an accomplished athlete in multiple sports, primarily Hurling. Actually went to school with Seamus Kennedy who you have featured on some shows. Keep the music alive Marc, it keeps us young in mind and heart. BTW I was able to download the Free Music – very easy process – just have to get them onto my phone in iTunes to carry them with me – if you have any advice on this would love to hear it."